Great Walls of the Universe -Do They Undermine the Big Bang Theory? Our known, Hubble length universe, contains hundreds of millions of galaxies that have clumped together, forming super clusters and a series of massive walls of galaxies separated by vast voids of empty space. Some of these elongated super clusters have formed a series of walls, one after another, spaced from 500 million to 800 million light years apart, such that in one direction alone, 13 Great Walls have formed with the inner and outer walls separated by less than seven billion light years. Recently, cosmologists have estimated that some of these galactic walls may have taken from 80 billion to 100 billion, to 150 billion years to form in a direct challenge to current age estimates of the age of the Universe following the Big Bang. The huge Sloan Great Wall spans over one billion light years. The Coma cluster is one of the largest observed structures in the Universe, containing over 10,000 galaxies and extending more than 1.37 billion light years in length. 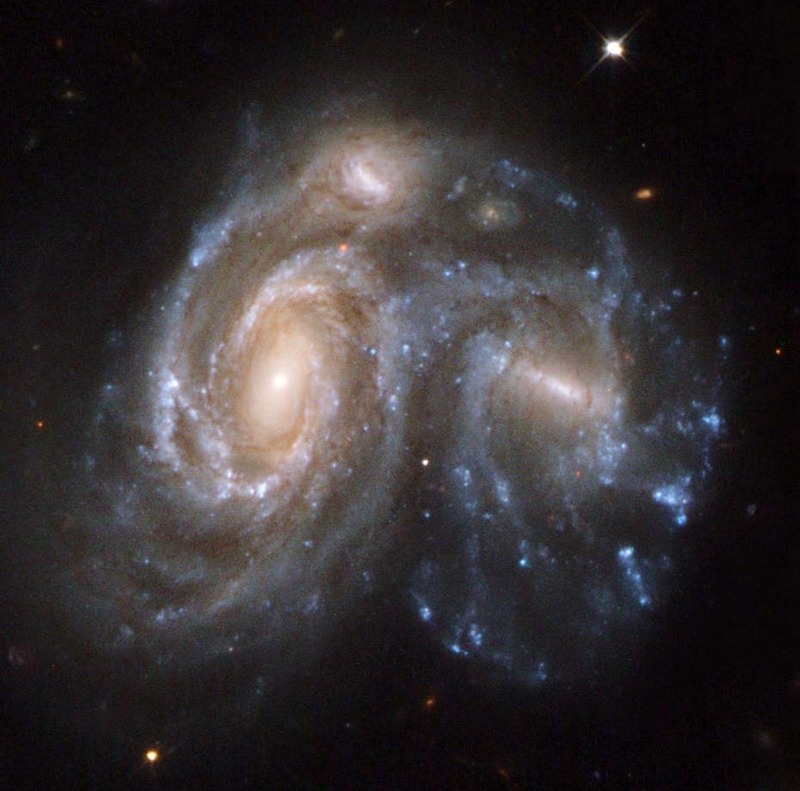 Current theories of "Dark energy" and "great attractors" have been developed to explain why a created universe did not spread out uniformly at the same speed and in the same spoke-like directions as predicted by theory. But as Sean Carroll of the Moore Center for Theoretical Cosmology and Physics at Cal Tech is fond of saying, "We don't have a clue." Britain’s Astronomer Royal, Lord Rees, says some of the cosmos’s biggest mysteries, like the Big Bang and even the nature of our own self awareness, might never be resolved. Rees, who is also President of the Royal Society, says that a correct basic theory of the universe might be present, but may be just too tough for human beings’ brains to comprehend. Rees draws comparison with fish, “Just as a fish may be barely aware of the medium in which it lives and swims, so the microstructure of empty space could be far too complex for unaided human brains”.